Victoria’s Secret Goes Green… Finally! 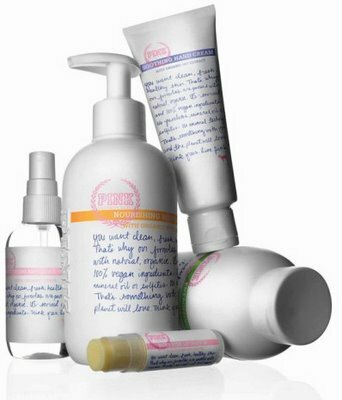 Victoria’s Secret is hopping on the green wagon and all we can say is, “It’s about time!” Their newest body collection, Pink, is organic, 100% vegan and eco-friendly. Even the packaging is made from Post Consumer Recycled materials, with limited inks and dyes and removable labels. The Pink collection came about after months of research where the Victoria’s Secret research team spoke to hundreds of ladies across the country to find out what’s important to them in their products. Funny thing is: I WAS ONE OF THOSE GIRLS! And it looks like they listened because I said going green was and is very, very important! We only have one earth, you know?! Energizing – a wake up call for your skin, packed with organic citrus and mint. Nourishing – leaves skin feeling super soft and moisturized with organic Shea butter. Products include lotions, body washes, sugar scrub, foot cream, shaving cream, lip butters, hand cream and more. P.S. How cute and girly is the packaging? It reminds me of Kiehl’s but with more… pink! I’d say that this is a step in the right direction for Victoria’s Secret. Roses are Red... And Good For Your Skin!